LAS VEGAS – August 4, 2017 – On Wednesday, August 2, Kyle Larson, driver of the No. 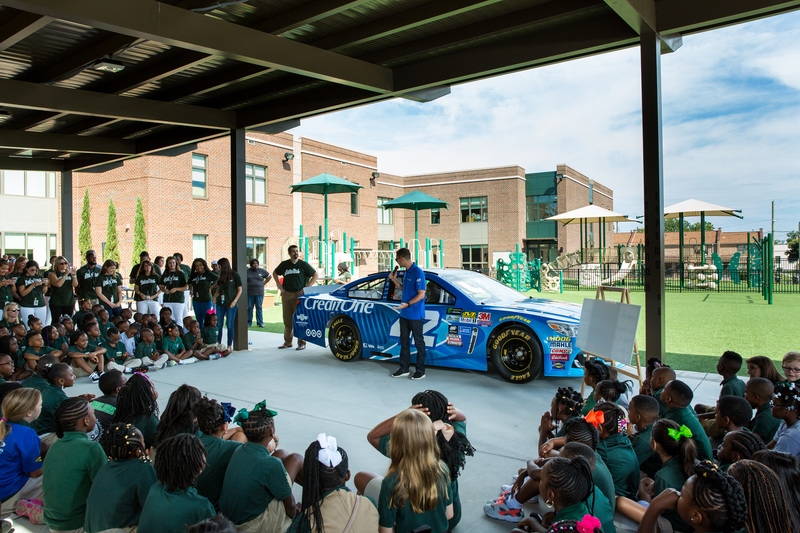 42 Chevrolet SS, and Chip Ganassi Racing (CGR) team engineers made a pit stop at Meeting Street Academy in Charleston, S.C. to speak to the fourth and fifth grade science classes about the role STEM subjects play in racing. 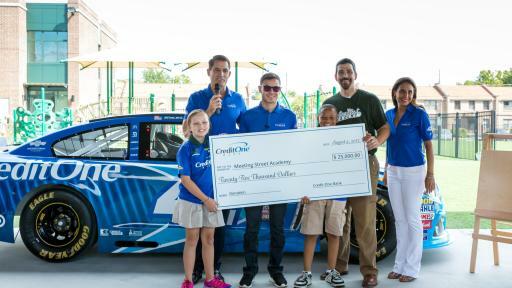 Team partner Credit One Bank was also in attendance and donated $25,000 to the school. 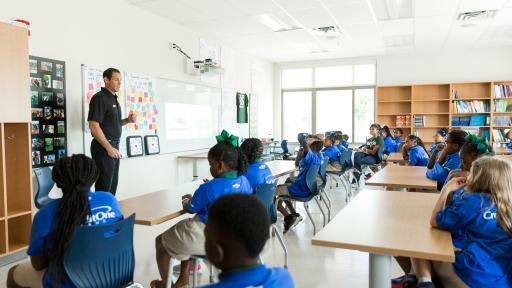 “I loved meeting with the students of Meeting Street Academy,” said Larson. 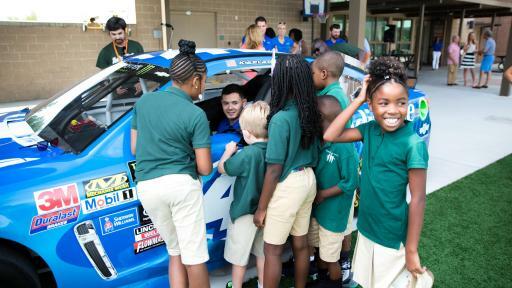 “Getting the chance to talk with kids about what I do is always something I enjoy, and they seemed pretty excited to hear about racing and fast cars. 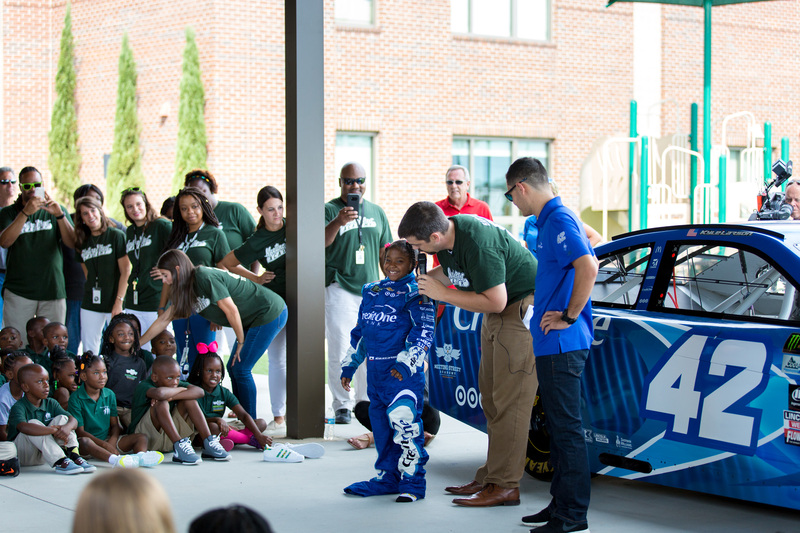 It was also fun to have some of our engineers on hand to explain how they build our cars. 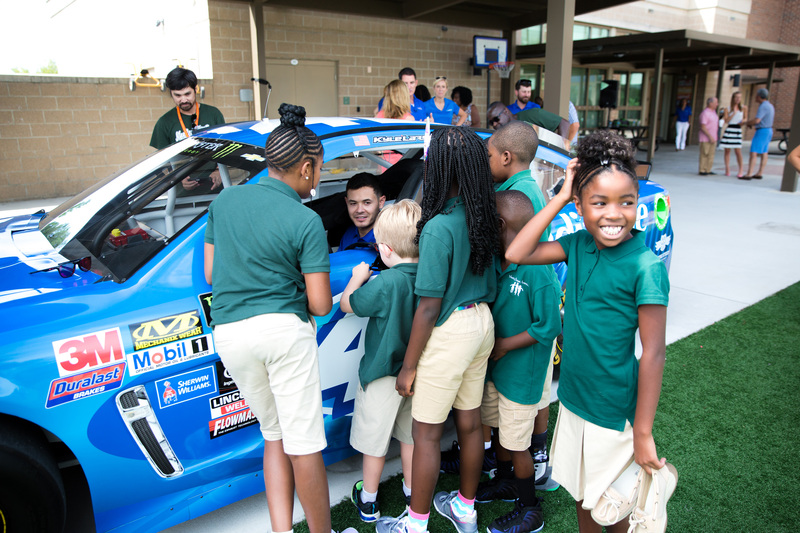 Without them, I wouldn’t be able to run up front and compete for wins, so it was great for them to tell the kids about the importance of technology in racing,” said Larson. 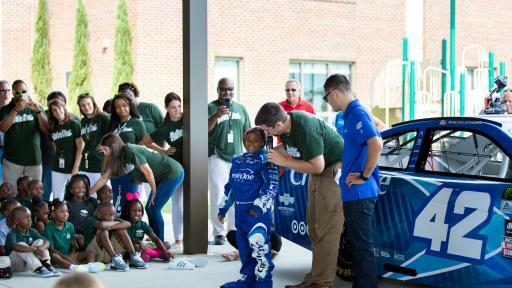 In addition to having Larson and the team engineers on hand, the students got an up close view of the No. 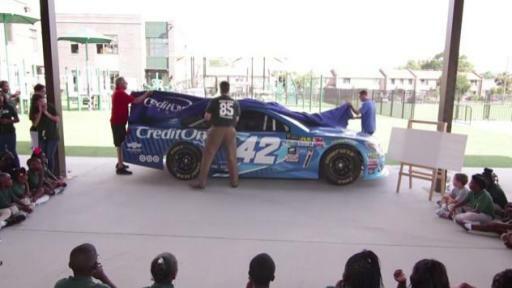 42 Credit One Bank Chevrolet SS, complete with the school’s logo on the car. 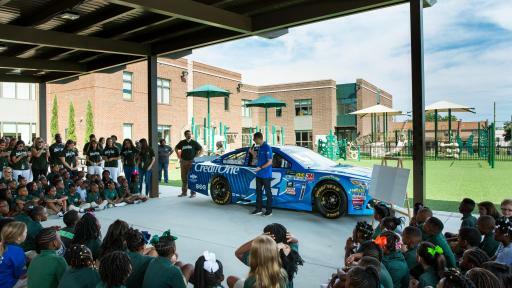 Larson and CGR engineers spoke to the students about the technology associated with racing, how math and science play a role in building race cars, and the importance of STEM topics in motorsports. 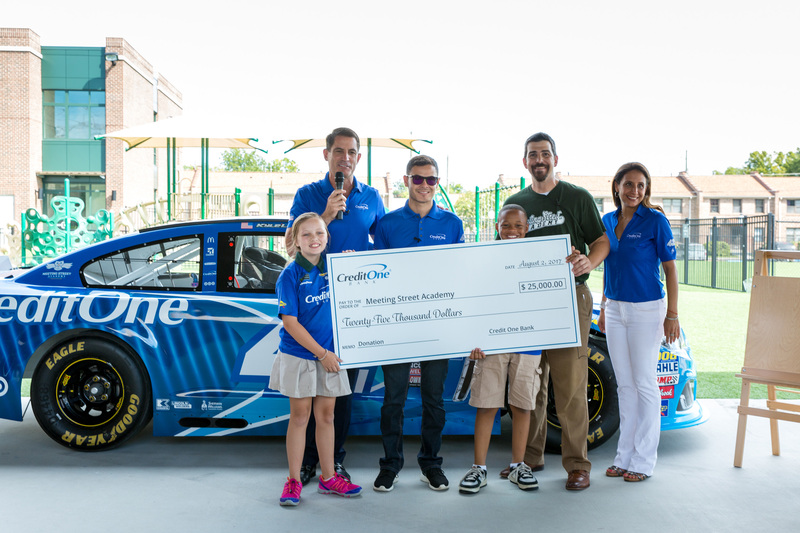 Credit One Bank also presented a donation of $25,000 to enhance the school’s science and robotics curriculum. Larson completed his visit by taking photos and having lunch with the students. Credit One Bank, N.A. is a U.S. based national bank that specializes in credit cards. Credit One Bank is one of the largest and fastest growing issuers of credit cards in the industry and provides a broad spectrum of credit card products. Credit One Bank offers card members cash back rewards on eligible purchases, credit education tools, and free online access to their credit score each month. For more information, please visit www.CreditOneBank.com. Chip Ganassi has been a fixture in the auto racing industry for over 30 years and is considered one of the most successful as well as innovative owners the sport has anywhere in the world. Today his teams include four cars in the Verizon IndyCar Series, two cars in the Monster Energy NASCAR Cup Series, two cars in the NASCAR XFINITY Series, two factory Ford GT’s in the IMSA WeatherTech SportsCar Championship, and two factory Ford GT’s in the FIA World Endurance Championship. Overall his teams have 18 championships and more than 190 victories, including four Indianapolis 500s, a Daytona 500, a Brickyard 400, seven Rolex 24 At Daytonas, the 12 Hours of Sebring and the 24 Hours of Le Mans. 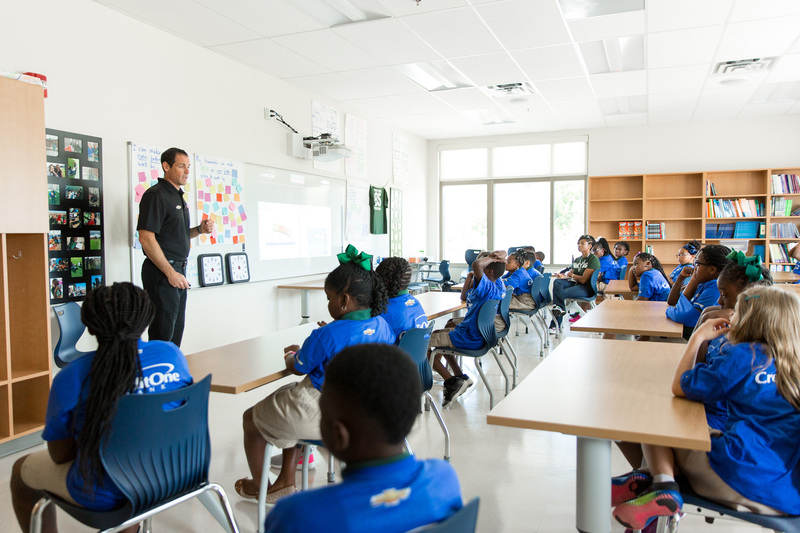 Ganassi boasts state-of-the-art race shop facilities in Indianapolis and Concord, N.C., with a corporate office in Pittsburgh, Pa.
Meeting Street Academy is the flagship school of Meeting Street Schools (MSS) – a network of public and private schools that was founded upon the belief that all children deserve an excellent education regardless of their geographic or socioeconomic circumstances, and that all children have the ability to excel in the classroom. Where access to quality public education or affordable private alternatives is severely limited, MSS is providing children with transformational educational opportunities. Opened in 2008, Meeting Street Academy is a private school serving students in grades PK3 – 5th who would otherwise attend schools that were below average.